Many substance abusers and addicts believe that the only one they are hurting is themselves. Though substance abuse and addiction heavily impacts the life of the abuser, it also negatively affects the lives of everyone around them, especially close friends, family, and children. Significant family conflict develops if the abuser or addict is stealing goods and money from other family members. The role of the abuser or addict can be diverse depending on their role within the family, the structure of the family, and their eventual impact. This article by Beginnings Treatment Centers highlights some of the other key roles of the abuser or addict within the family system. Children of substance abusing parents are at increased risk of suffering from a range of psychological and behavioural difficulties including: conduct disorders, depression, withdrawal and social isolation, self-blame, low self-esteem and anxiety-related disorders. Children can face even more challenges when there are additional problems in the family such as poverty, domestic abuse, and mental health problems due to of the absence of a stable adult in their lives who can ensure the child’s needs for care and love are being met. Even if you have done your best to provide a loving home environment in which to grow up, given your child the best education and life opportunities, and provided the financial means for your child to live well and enjoy life, Addiction and abuse does not discriminate; anyone and everyone can be susceptible to substance abuse and addiction, regardless of background and upbringing. Teen drug abuse can have long-term cognitive and behavioral effects since the teenage brain is still developing. The best way to get a teen to communicate about their drug use is by asking compassionate and understanding questions. If your child is an adult, they are no longer legally your responsibility, but you may actually feel an even heavier burden of social and emotional responsibility for him or her. Some parents resort to hot anger and recriminations of “I didn’t raise you to be like this!” Other parents fall into a trap of accepting the blame that some misbehaving adult children want to place on them. Some parents may be bled dry by meeting the financial assistance pleas/demands from children who are habitually showing up in the judicial system and need money for court/legal fees. Some parents carry great shame about their children’s mistakes – believing that if they had just done a better job somewhere along the line, this problem/incidence/pattern/behavior would not have appeared in their child’s life. 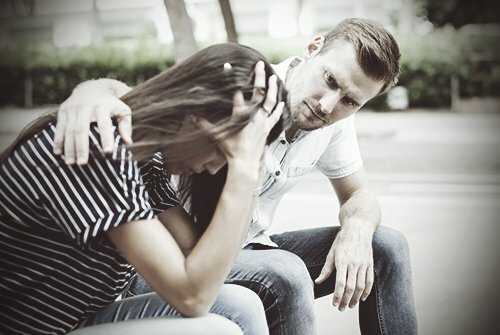 www.psychologytoday.com has a good article available for mothers with adult addicts, but fathers would do well to read it too. If you’re the sibling of an addict, it’s almost guaranteed that you’ll become part of the collateral damage caused by your brother or sister’s struggles. Instead of meeting up with you on a Saturday afternoon for coffee, they decide to stay at home day drinking. This isn’t the first time they’ve done something like this and you feel frustrated and betrayed. After six hope-filled months of sobriety, you find out that your sibling didn’t make it to dinner because they’re using again and you just can’t understand why they insists on continuing to choose drugs over your family. You don’t trust what they say anymore, you have a parent who enables your sibling, you love AND hate your sibling, you miss the person that they were, you’re always preparing for a phone call, and ultimately you may have to cut them out of your life completely. These feelings are common in people who are affected by their siblings addictions and substance abuse. Your adult son or daughter needs help. And your grandchildren are hurting. They feel alone and unloved. They don’t understand why mom or dad can’t take care of them. Sometimes grandparents step up to raise their grandchildren because their own adult child is incapable of raising their own child as a result of their addiction. Some steps that grandparents can take may or may not seem like obvious ones. They can make sure that the grandchildren know that they have people in their lives who love them and will see that they are taken care of. They can nurture their relationship with their grandchildren so that if they ever have to take over their care, the children won’t feel that they are being turned over to strangers. They can create opportunities for the grandchildren to be with extended family, to get to know aunts, uncles, and cousins since family members often step in during family crises. Please check out www.grandparents.com for an article on what to do when your grandchild’s parent is a substance abuser. When a friend shows signs of abusing alcohol or other drugs, it is hard to know what to do or say. When deciding whether to speak to your friend, you may have some concerns, such as: Fear or mixed feelings about getting involved in someone else’s affairs. Just remember, addiction to alcohol or other drugs could lead to death. Maybe you believe someone else will say something. But, it’s important not to wait for someone else to step up. You may feel hurt by past actions or behaviors of the person with addiction, so it is important to take responsibility for your feelings, too. Think through how it is affecting him or her as well as others. If your friend has alcohol- or drug-related problems, he or she needs help. You may or may not be the one to get them the help they need but you shouldn’t just ignore it either. Gain more understanding about Why Addicts | Alcoholics Lie, Cheat and Steal from those they love the most. Understand The Dance of the Family Disease of Addiction and that you’ve been deeply changed, too – check out The Brain and the Secondhand Drinking Connection, as well. Understand that if your addicted adult child has a co-occurring mental disorder, BOTH it and their addiction must be treated at the same time, otherwise the potential to relapse is huge. Check out Co-Occurring Disorders Require Co-Occurring Treatments. Nar-Anon Family Groups – 12-step program for families and friends of people with drug use problems. NAMI Family Support Group – National Alliance on Mental Illness peer-led support group for family members, caregivers and loved ones of individuals living with mental illness [often people who have addiction also have a mental illness]. SMART Recovery for Family & Friends – non-12-step program for family and friends of someone who misuses drugs or alcohol. The Benefit of Going to Rehab Abroad by Paul Barley at Ocean Recovery Centre. This article explains many unique benefits that be obtained by going to rehab outside North America. Loving an addict or substance abuser can bring up many mixed emotions, including grief. Become a member of The American Academy of Bereavement today to find more resources on grief.